Renewable energy sources and generation have received quite a lot of attention in the past. There is an environmental drive to significantly reduce our fossil fuel consumption. Businesses are working to effectively transition to renewable power sources, technologies and innovation around renewable battery energy storage and one is leading the pack. NextEra Energy Inc. is regarded as the world’s largest electric utility company based in Juno Beach, Florida. It is also North America’s leader in providing clean energy all over the country. The company is leading the quest for developing efficient and cost-effective answers to energy storage. NextEra Energy CEO Jim Robo says, “Post-2020, there may never be another peaker built in the United States—very likely you’ll be just building energy storage instead.” With sustained movement, NextEra energy battery storage can help realize the country’s goals to switch to renewable sources of energy. 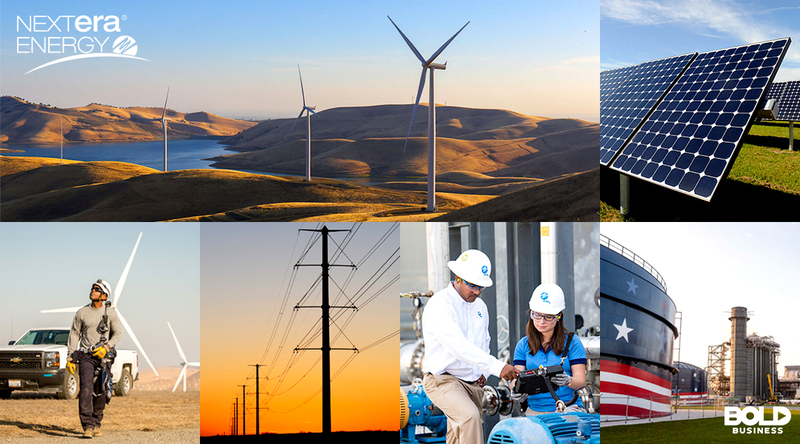 Coming from its early beginnings in 1925, NextEra Energy (NEE) is now a company with $75.8 billion market capitalization with a revenue of $16.4 billion (as of June 6, 2018). A prominent clean energy provider, NextEra’s portfolio of facilities generates more than 20,000 megawatts serving customers across the U.S. and Canada. It operates through its main business arms—NextEra Energy Resources (NEER) and Florida Power & Light (FPL). NEER is considered the biggest energy generator of clean and renewable sources—specifically, wind and solar energy—in the world. This segment is also responsible for energy and capacity requirement services, marketing and trading activities for power and gas. Also, it contributes to natural gas and pipeline infrastructure development and provides retail electricity to consumers. FPL, the third largest electric utility in the U.S., serves more than an estimated 10 million people across the state of Florida. Customers of FPL pay an electricity bill that is approximately 30 percent cheaper compared to the rest of the country. With service reliability of 99.98 percent, FPL w its significantly fuel-efficient plant fleet is one of the cleanest utilities in the country. 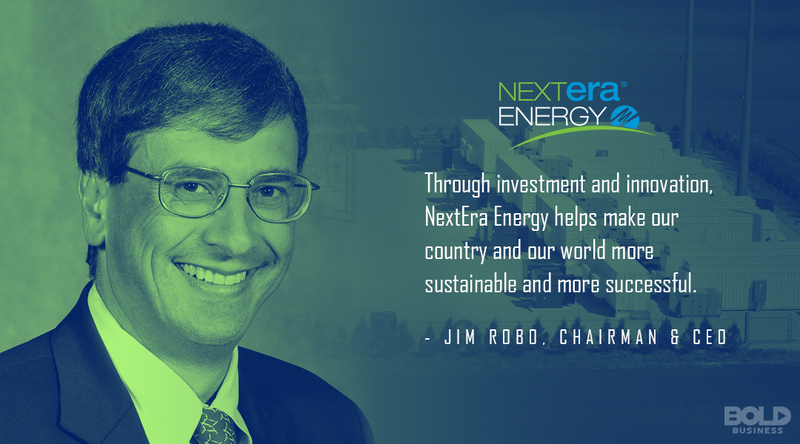 Under the leadership of Jim Robo, NextEra has been leading the movement in developing technologies around renewable energy battery storage. With more than 100-megawatt energy operational storage systems, NextEra Energy claims to have more energy capacity storage than any other U.S. utility company. NextEra’s campaign to dominate the energy storage field is just beginning. In March, NextEra Energy—through its FPL subsidiary—revealed and launched a “solar-plus-storage system” that can maximize solar power plant output. A first in the U.S., the FPL Babcock Ranch Solar Energy Center (Charlotte County) can capture energy generated by their solar panels, store it, and distribute it to customers when they need it. Currently, a state-of-the-art 10-megawatt lithium-ion battery storage system has been storing excess energy from their largest solar energy farm in Arizona—that is, the Pinal Central Solar Energy Center. Excess energy produced during peak periods can be stored and used to supplement low energy production cycle. Notably, this farm was completed by the joint efforts of NextEra Energy Resources and utility Salt River Project (SRP). 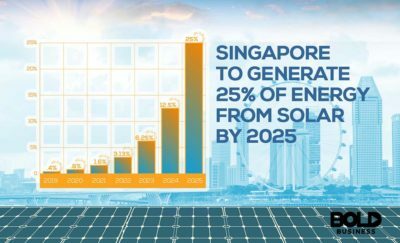 With NextEra Energy Inc. leading the way, the developments in the area of renewable energy battery storage are showing promise. Fossil fuels such as oil, coal and natural gas have been our primary source of energy for than a century. Besides being a nonrenewable source, fossil fuel has been proven to have irreversible environmental and health impacts. The degradation of our environment is causing a drastic change to our environment. This includes water and air pollution, climate change and global warming. They all are amplifying the call for a cleaner energy source. In consonance with this discussion, renewable energy seems to be a viable alternative energy source. Solar, wind and hydropower fall under this category. The drawback is that these renewable energy sources have one huge limiting factor—these energy resources fluctuate. Solar energy, for instance, cannot support energy requirements 24/7. Even during natural peaks at daytime, weather conditions can interrupt energy generation. Wind farms are also subject to various meteorological phenomenon such as storms, hurricanes and changing wind direction. The intermittency of these renewable sources can be mitigated by the availability of reliable energy storage solutions. Storing energy is the only way the power of renewable energy sources can be fully harnessed. We can store energy in various ways. Some of the available methods to stash energy includes Compressed Air Energy Storage (CAES), High-Speed Flywheels, Pumped Hydro, Vehicle-to-Grid and Molten Salt Storage. 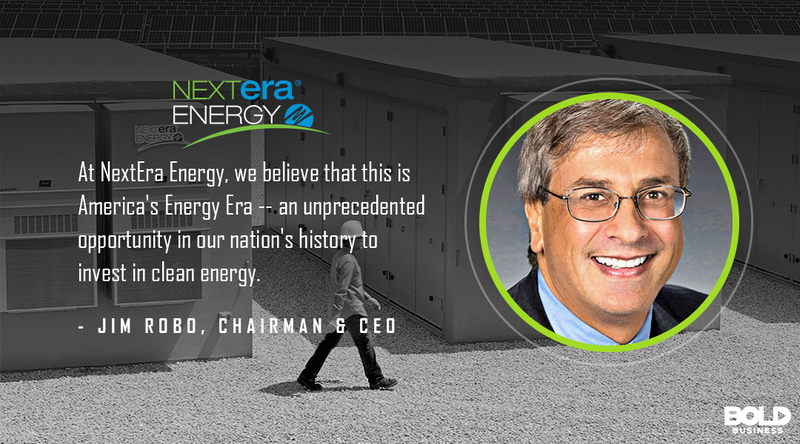 In the case of NextEra Energy battery storage, they are “ensuring Americans have the energy they need, whenever they need it” with their 10-megawatt battery energy storage systems at work. Indeed, with the developments and innovations around energy storage, the use of renewable energy source is on the rise. NextEra Energy has been committed to providing clean, affordable and reliable electricity. 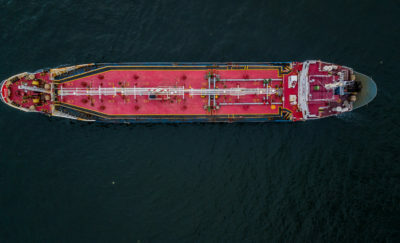 The company focuses on delivering great value to customers by utilizing a combination of energy sources—namely natural gas, solar energy and zero-emission nuclear facility. This energy source combination has allowed NextEra Energy through FPL to reduce dependency on foreign oil by 99 percent. The power company is also leveraging technologies such as smart grid for reliability and service efficiency. Markedly, NextEra Energy plans to invest $40 billion through 2020 to support infrastructure that will help fuel the country’s future energy. As part of this, FPL in March revealed the names and locations of four new solar power plants. These are FPL Interstate Solar Energy Center (St. Lucie County), FPL Miami-Dade Solar Energy Center (Miami-Dade County), FPL Pioneer Trail Solar Energy Center (Volusia County), FPL Sunshine Gateway Solar Energy Center (Columbia County). All of which are expected to be operational by mid-2019. Overall, the developments in the area of renewable energy battery storage are showing promise. Moving forward, the attempts to switch to renewable sources of energy will get more traction. CEO Jim Robo is looking at the developments with great optimism. The business is making bold actions that are positively impacting society.